Our vet will fully assess the condition of your animal’s mouth and advise you on the best course of action for prevention of dental problems. If dental disease is found then the vet will discuss with you the most effective treatment. Dental x-rays can be very useful to judge the health of individual teeth, especially in cats or with broken teeth, and we have a state-of-the-art digital dental x-ray machine for this purpose. For any client who is concerned about their pets’ teeth we also offer free of charge nurse appointments for a thorough oral examination and to discuss dental disease prevention and management. All of our surgeries are equipped with up-to-date dental equipment, including ultrasonic descalers and air drills. This means that, for example, when tooth extractions are necessary they can be done in the least traumatic way. Dental x-rays are also very important for planning complicated extractions and both our Tunbridge Wells and Crowborough surgeries have dental x-ray machines. 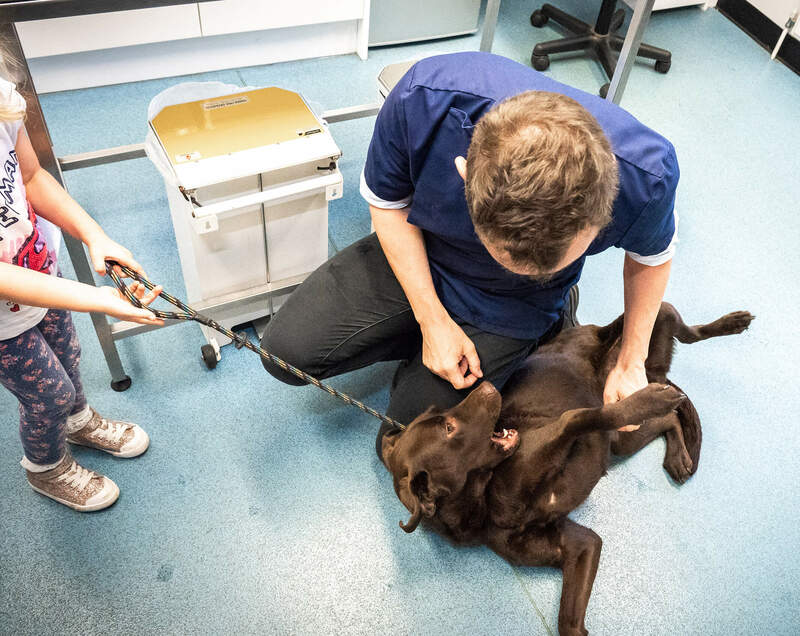 All dental procedures are carried out under general anaesthetic, and as always we assess each animal’s anaesthetic risk individually, and monitor then carefully. We have free follow-up appointments to check the mouth has healed. Most importantly we make a plan to prevent future dental disease. If you have any concerns about your pet’s teeth then please contact the surgery without delay.